New Zealand’s colonial past is often told as the story of the interaction of British and Maori. Other Pakeha nationalities have at best limited walk-on parts – a few Yankee whalers, some Danes going to Dannevirke, some Bohemians at Puhoi, that sort of thing. The reality is that before the British planted their flag, the French were major players in this country as both explorers and traders. After the Treaty of Waitangi and through much of the 19th century, there was still a significant French presence in the form of both French-led Catholic missionaries and the French settlers brought by the Nanto-Bordelaise Company to Akaroa. Naturally – Britain having recently been France’s enemy in the Napoleonic Wars – the British feared and were very suspicious of any possible French intervention in New Zealand. The pattern was set for a tradition of mild Francophobia, even though the French and British were allies in later conflicts such as the Crimean War. Only in the past thirty or forty years have New Zealand historians paid much attention to the French footprint. 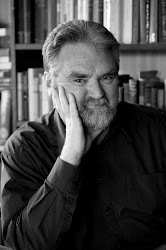 Professor John Dunmore led the way with such volumes as The French and the Maori, a collection of essays he edited in 1992. Now there is a respectable number of books about early Franco-Kiwi relations. The French Place in the Bay of Islands is both the handsomest and one of the most accessible. The Maori translation of its title is given as Te Urunga Mai O Te Iwi Wiwi, reminding us that the Maori name for the French, “Wiwi”, came from Maori recognising “Oui, Oui” as the most common French words they ever heard. This collection of 17 substantial essays is subtitled Essays from Pompallier’s Printery, and began as papers given at a symposium held in 2004 by New Zealand and French historians, cultural commentators and members of Catholic religious orders. The symposium itself grew out of the return to New Zealand of Bishop Jean-Baptiste Francois Pompallier’s bones in 2002, and the interest that that event aroused in both early missionary activity and the French presence. As Kate Martin explains in her introduction, Pompallier House at Kororareka (Russell) is the sole surviving missionary printery of any denomination in the country. Built by Pompallier and the Marist fathers in 1841, it was never Pompallier’s residence, but was a working Catholic printery. It was later sold as a private residence and later still gifted to the nation as a building of significant historical interest. The closing essay of the book, by Jeremy Salmond, explains in detail how the building was methodically restored in the 1990s to something like its original state, with post-1841 additions (such as upstairs balconies) removed. Some contributions are from very well-known writers. Dame Anne Salmond’s opening essay concerns the French explorer Marion du Fresne, who arrived in New Zealand in the 1770s and whose brief visit ended in bloodshed. Anne Salmond interprets this as massive mutual incomprehension between Maori and French. Du Fresne grossly misinterpreted Maori customs and behaviour because he was too influenced by Rousseau’s ideas of the “noble savage”. The noted biographer Jessie Munro discusses the spiritual journey of Peata, the Maori woman who became a Catholic nun. The eminent religious historian Peter Lineham explores in detail the different strategies adopted by Catholic and Protestant missionaries in their first evangelisation of Maori, and finds surprising convergences despite mutual antagonism. Others of the essays are by people who will be known only to religious studies specialists. Father Michael O’Meeghan and Brother Edward Clisby clarify respectively the roles of Marist priests and Marist brothers in early New Zealand, and Pa (Father) Henare Tate gives a detailed account of how traditional Maori spirituality adjusted to Christianity. Philip Parkinson examines the Maori-language anti-Catholic polemics that poured off Protestant presses once Catholic missionaries arrived. But there are essays on more surprising specialist topics. Ian Hunter on Kororareka as a centre of trade and commerce. Ken Scadden on the French printer Jean Francois Yvert. Dominique Varry on Lyon as the centre of French Catholic printing in the 19th century. Manuka Henare on the rise of Maori literacy after the arrival of Europeans and the way it forged a common Maori identity. Protestant missionaries believed (wrongly) that Pompallier influenced Maori to resist British annexation and authority. This unhistorical view has been repeated in some of the recent works of Paul Moon. 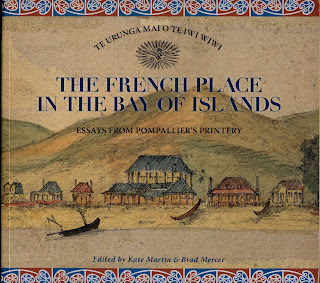 One of the best essays on the topic is Peter Low’s “French Bishop, Maori Chiefs, British Treaty”, which gives a nuanced account of Pompallier’s advice to Maori and which first appeared in Dunmore’s collection The French and the Maori. 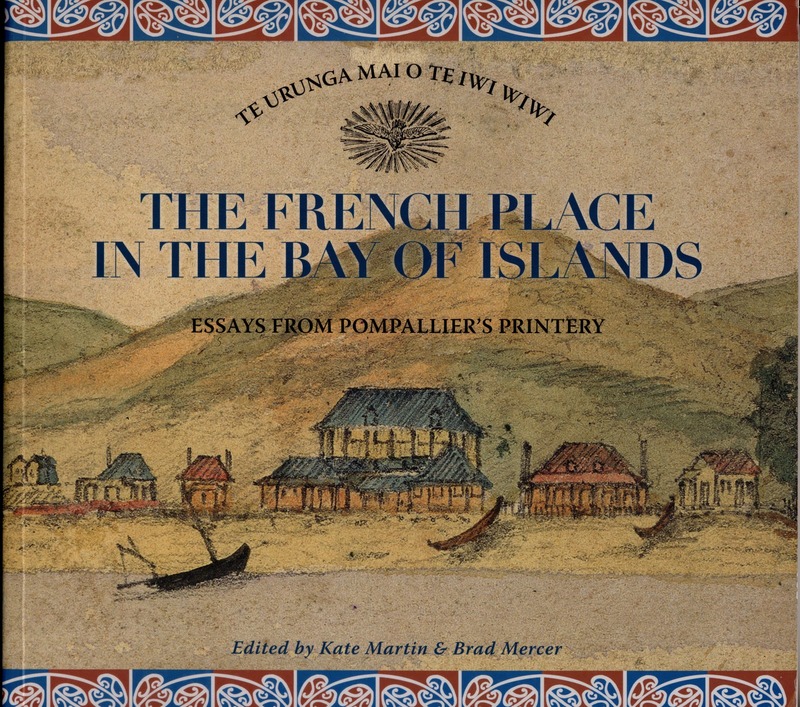 In The French Place in the Bay of Islands Low recalibrates this earlier essay under the title “Bishop Pompallier and Te Tiriti”. He suggests that Pompallier did advise those Maori who consulted him that they were about to lose some of their power and authority, but that this was not inaccurate advice. There is only one essay in this collection that I found a little unsatisfactory. That is Garry Clayton’s on New Zealand Francophobia. It tends to stick with 19th century fears of French invasion or takeover of the Pacific, without examining more recent outbreaks of the disease. That noted, this book is an excellent production. Among other things, its price is justified by its very handsome wide-page, broad-margin presentation and its very many illustrations.